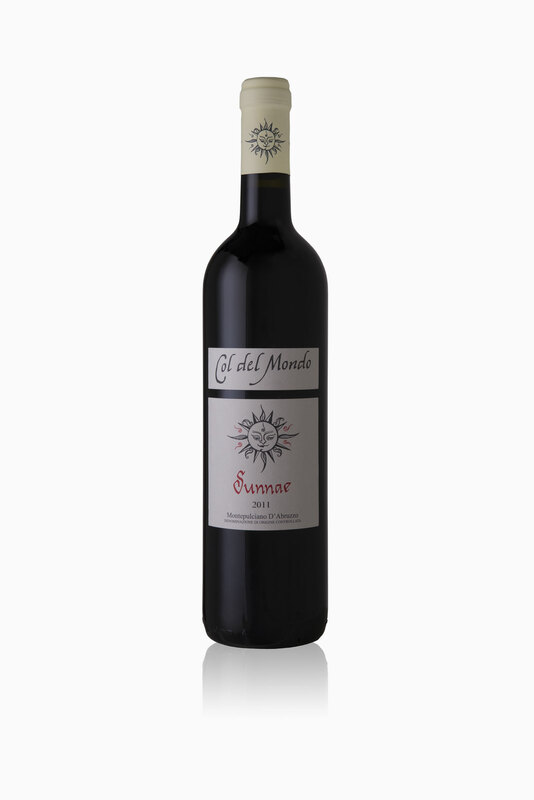 This wine, realized for the first time in 2004 to complete our range of red wines based on Montepulciano grapes, has nice acidity, with notes of fresh fruit, “ready to drink” and matching with food, even if the body and structure remain important. To achieve this result, we first selected and then used grapes from cooler and vigorous soil, slightly increasing yields. The grapes are hand-picked and submitted a cold prefermentative maceration, in CO2 atmospheric, for 18-24h. Fermentation occurs by limiting the temperature at not more than 26-27°C with frequent pumping of small volumes of fluid so as not to spoil too much grape skins. The maceration phase of grape skins take about 8 days, owing to the season. The aging phase is one year and takes place in vitrified cement tanks.